Whether you or someone you know has been sexually assaulted, we can help. All of our services are free, confidential, and voluntary. SARA provides many services to survivors of sexual violence and members of their support system. Whether it happened recently or a long time ago, we can help wherever you are in your process. Survivors may need different services depending on what their goals are. Whatever you need, we can work together to see what works best for you. Your experience is specific to you. If you need help, call us and we will help you through this. 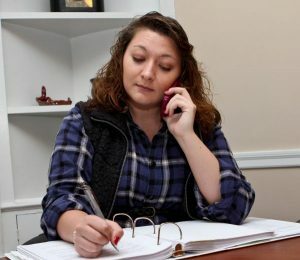 If you wish to schedule an appointment with a counselor, please call the office (540-345-7273) directly, during office hours Monday – Friday from 8:30 a.m. – 5:00 p.m. When you make the decision to call the SARA 24-Hour Crisis Hotline, you may contact us by calling 540-981-9352. Our hotline is staffed by trained Crisis Advocates, typically volunteers, through a mobile cell phone service. When your call is answered, you will hear the Crisis Advocate say, “SARA Crisis Hotline. How may I help you?” Our Crisis Advocates are available to assist you with information, referrals, and support. The Crisis Advocate may ask for your name and phone number in case the call is disconnected for any reason; however, if you wish to remain anonymous, that is okay. If you are calling to request in-person advocacy response to a local hospital or law enforcement agency, the Crisis Advocate can walk you through that process.